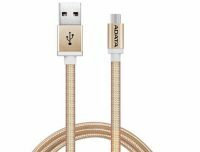 Taipei, Taiwan – Mar.24, 2016 – ADATA® Technology, a leading manufacturer of highperformance DRAM modules and NAND Flash products, today added a Micro USB offering to its range of cable products that features a reversible Type-A connector. The cable is designed to make linking a multitude of devices that use Micro USB (smartphones, power banks, wireless headphones, game controllers and many more) with PCs and other USB Type-A destinations much easier and more intuitive. It supports 2.4A for quick device charging, with high-grade braided sleeves protecting wires inside the cable and extending its lifespan. 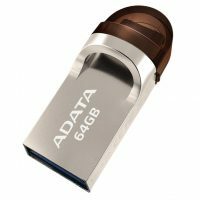 Aluminum connector housings provide double benefit as they are stylish and durable, while ADATA offers the new cable in seven color schemes to give customers more personalization options. The cable features a Micro USB connector on one side and reversible Type-A on the other. Reversible connectors are much more user-friendly than traditional plugs, as shown by the rise of USB Type-C. ADATA offers similar solutions in addition to Type-C, as embodied by the new cable. With reversible Type-A, users can insert the cable into destination devices without the often bothersome “trial and error” associated with USB. 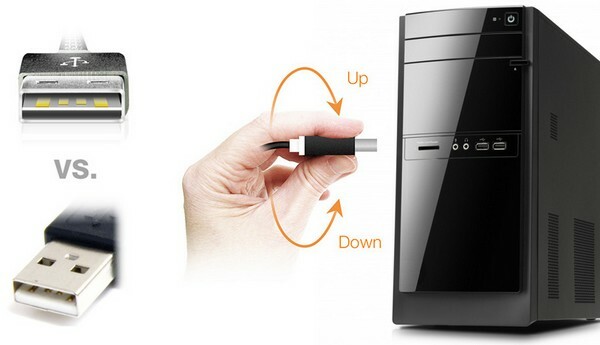 There is no need to check which way the USB Type-A plug is aligned, saving time and making connections much more convenient. As a premium Micro USB cable, the new model features refined internal wires measuring 24AWG, or American Wire Gauge. The wiring setup supports the passage of up to 2.4A, enabling extra-fast charging of mobile device batteries. The braided sleeves used are highly resistant to bending, twisting, and tangling. They protect internal wiring against damage and gradual degradation, ensuring data transfer across the cable remains at peak performance for a longer time span. Braiding further looks much more stylish and distinct than a plain PVC sleeve, adding elegance to a very utilitarian product. 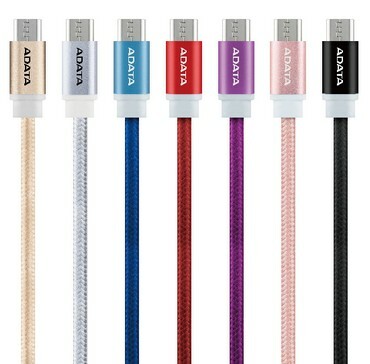 For added vibrancy, ADATA produces the new cables in seven different colors. Connector housings for both the Micro USB and reversible USB Type-A plugs are made of robust and attractive aluminum rather than plastic. The use of premium materials affords a much more appealing look and delivers increased durability. The aluminum-encased plugs can easily withstand demanding usage conditions while retaining their lustrous appearance over an extended product lifespan.